Tuplast is an agent developed by the makeup artist to create particularly realistic scars and other skin lesions. Made at Kryolan Berlin. 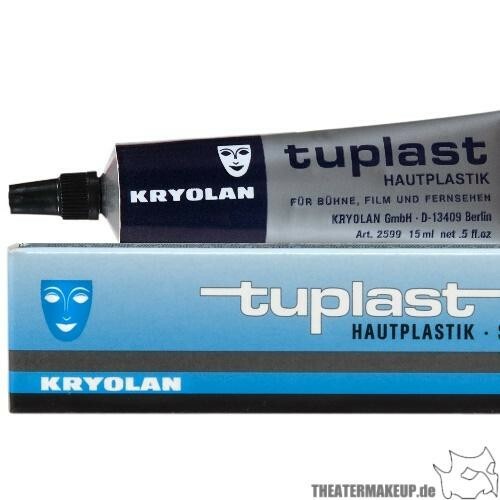 Tuplast is an agent developed by the makeup artist to create particularly realistic scars and other skin lesions. Tuplast is based on the synthetic material that is also used in dental practice. Tuplast is processed directly from the tube and can be easily reshaped after drying with a spatula. After final drying, the scar thus formed is waterproof and can be removed for removal. For make-up especially Supracolor and Dermacolor are. Since Tuplast contains a lot of acetone, it is best to be careful when working near the mucous membranes and eyes.